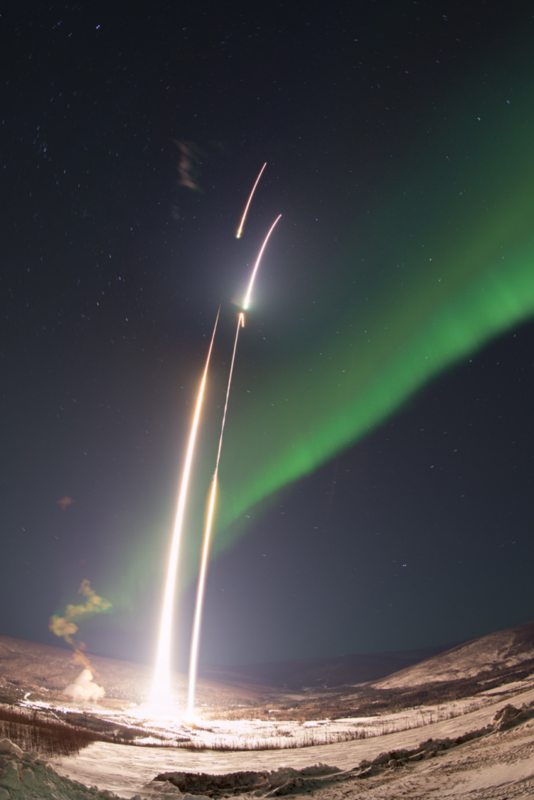 SESDA personnel supported the successful launch of twin NASA sounding rockets from the Poker Flat Research Range north of Fairbanks, Alaska on March 2, 2017 into a strong auroral arc. The purpose of this rocket campaign is to study the driving conditions of neutral jets that flow in concert with auroral arcs. SESDA Engineers lead the design and fabrication of a new wire boom system that measures the electric field. This new wire boom system performed flawlessly. SESDA scientists will be heavily involved in the subsequent data analysis which promises to advance the understanding of the coupling between the upper atmosphere and the aurora.